This article describes one of six things I've learned about gastroenterologists through my personal experiences and through research. I'd suggest you set your expectations accordingly, but your experiences might vary from mine. For the complete series of articles, see Six Things You Should Know About Gastroenterologists. A conventional gastroenterologist has various methods for treating diagnosed diseases and unexplained digestive symptoms, such as over-the-counter (OTC) drugs, prescription medication, and surgery. For those who are terribly sick, such treatments might save their life. For those who embrace conventional medicine and are satisfied with only treating the symptoms, such treatments might suffice. Unfortunately, these treatments can be ineffective in treating some digestive woes because they don't address root causes, such as leaky gut syndrome (increased intestinal permeability), candida overgrowth, and gut dysbiosis. If you don't need or want conventional treatments, or if you want to resolve the root cause or causes of your digestive distress, your conventional gastroenterologist might have nothing to offer you beyond diagnostic testing. That doesn't mean you should abandon all that the field of gastroenterology has to offer you. Perhaps another gastroenterologist could be of more help. And, you should still get a colorectal screening when you come of age for it (for most people, the magic age is 50), or repeat the screening at the interval recommended for you. 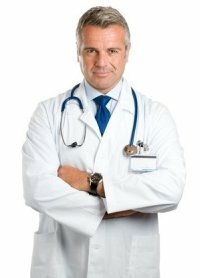 However, if you want to fully address your diagnosed disease(s) and/or unexplained symptoms, you might need to seek help from an integrative gastroenterologist or a functional medicine practitioner. Also, learning to be your own medical detective can be invaluable in making forward progress on your healing journey. In my experience, gastroenterologists don't typically recommend natural treatments. But often, it might be worth your while to check out other options that have fewer (or no) side effects—or are less invasive. Unfortunately, many such specialists scoff at the use of supplements or therapeutic diets to treat digestive illness—except for the gluten-free diet for people with celiac disease. Fortunately, it appears that more of these specialists are suggesting the gluten-free diet for people with non-celiac gluten sensitivity. But don't let the conventional methods of your gastroenterologist stop you from telling him or her what you're up to. For example, if you're taking hydrochloric acid with pepsin supplements because you believe you have low stomach acid, not too much stomach acid, speak your truth. 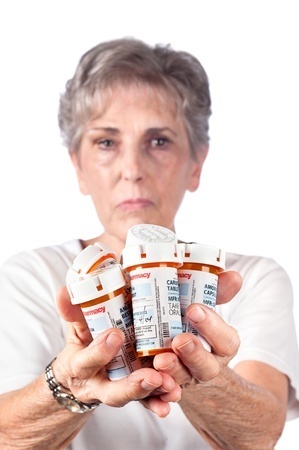 You need to let your doctor know if you are not taking the acid blocker he or she has prescribed for you. So be honest, but be prepared for the consequences. You might need to find another specialist. If constipation is one of your complaints, be aware that your gastroenterologist is more likely to recommend MiraLAX than a natural alternative. MiraLAX contains polyethylene glycol (PEG), which is a petroleum-derived compound that is made from ethylene glycol. Does ethylene glycol sound familiar? It's the main ingredient in antifreeze. Instead, why not use the natural alternative of magnesium supplements for constipation? Both MiraLAX and magnesium are considered osmotic laxatives (meaning they draw water into the gastrointestinal tract). They are equally effective. In addition to the gluten-free diet for celiac disease and non-celiac gluten sensitivity, gastroenterologists do offer dietary recommendations for some disorders, for example, inflammatory bowel disease (IBD), which includes Crohn's disease and ulcerative colitis. The specific recommendations depend on which disease the patient has, as well as what part of the intestine is affected. Regarding therapeutic diets such as the Specific Carbohydrate Diet (SCD), the Gut and Psychology Syndrome (GAPS) diet, the Wahls protocol, and the paleo autoimmune protocol (AIP), most gastroenterologists know little to nothing about them. These types of diets have the potential to reverse an autoimmune disease or prevent one from developing. Unfortunately, most gastroenterologists are more likely than not to tell you that such therapeutic diets won't make any difference with your digestive complaints, much less with an autoimmune disease you are wrestling with. Most don't talk about the importance of eating nutrient-dense superfoods such as bone broth and organ meats. They don't recommend drinking homemade ginger tea to reduce inflammation. They don't know that homemade (unpasteurized) fermented foods are far superior sources of probiotics than the vast majority of probiotic pills and powders on the market. 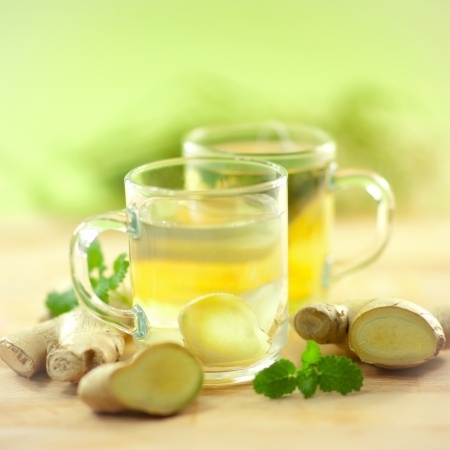 Homemade ginger tea, made from ginger root, is anti-inflammatory. 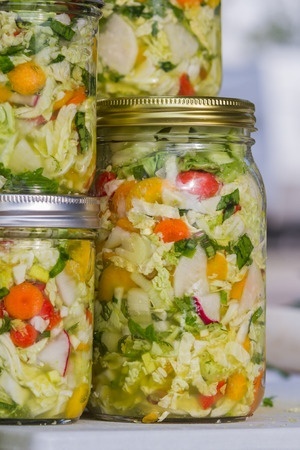 Homemade fermented vegetables provide a rich source of probiotics.